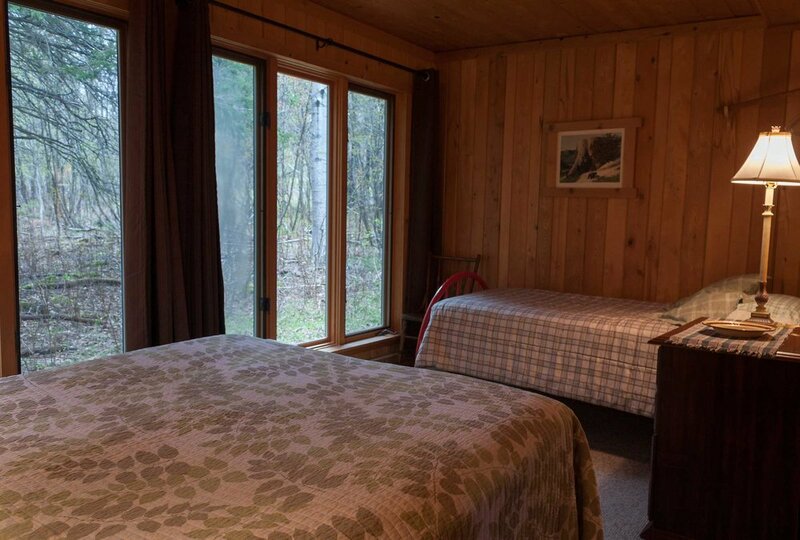 “America’s cutest cabin.” One bedroom with queen and twin bed, cozy living room, dining area and kitchen. Large sundeck. Lovely wooded views. Located in an "enchanted forest." Short walk through the meadow to the fishhouse and the lakeshore. Playhouse photo gallery below.